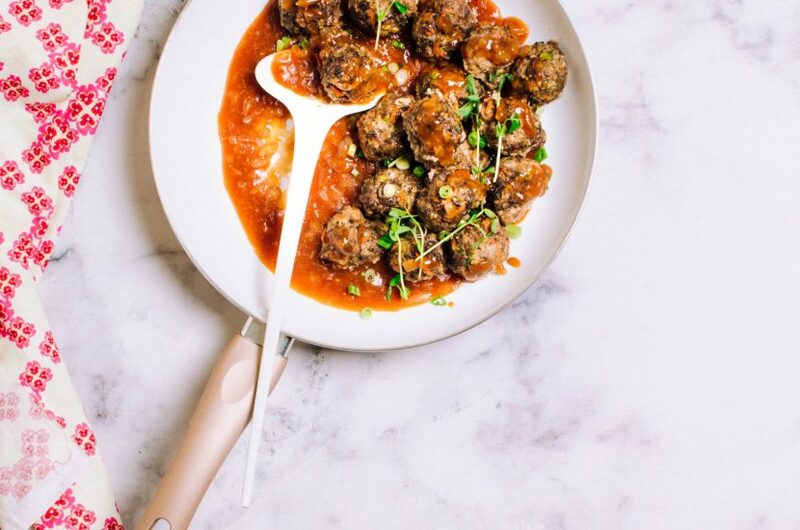 These Sweet & Sour Meatballs transport me back to a million cozy gatherings in my mom’s kitchen. 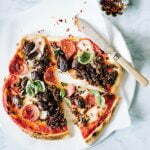 The sticky-sweet-savoury thing they’ve got going on is completely irresistible. 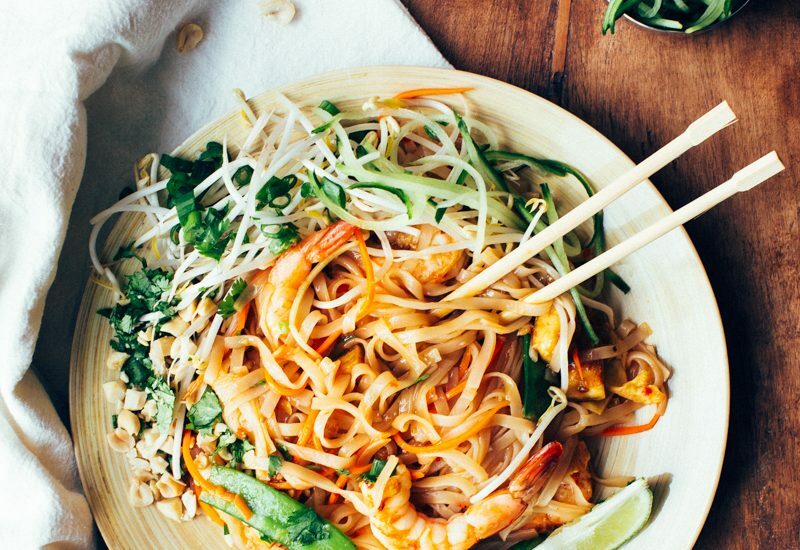 A super-flavourful veggie-packed tofu and shrimp Pad Thai piled high with fresh, crunchy toppings. 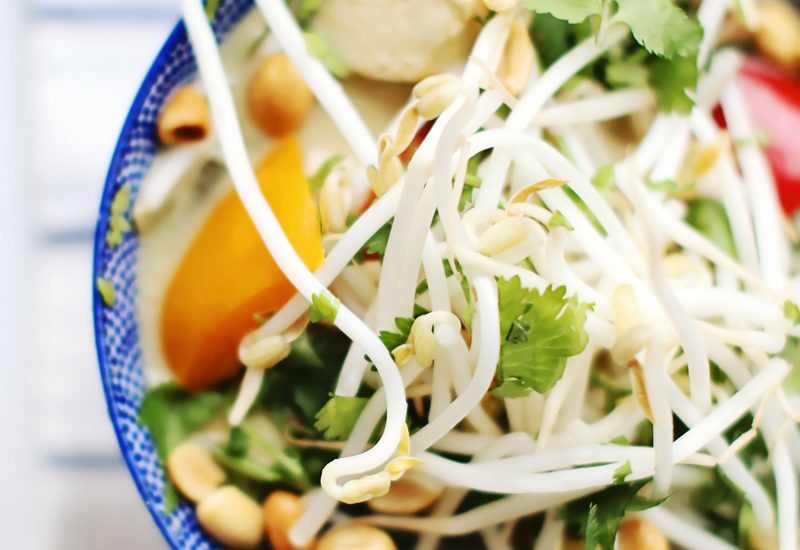 A perfect balance of sweet, salty, spicy and sour. 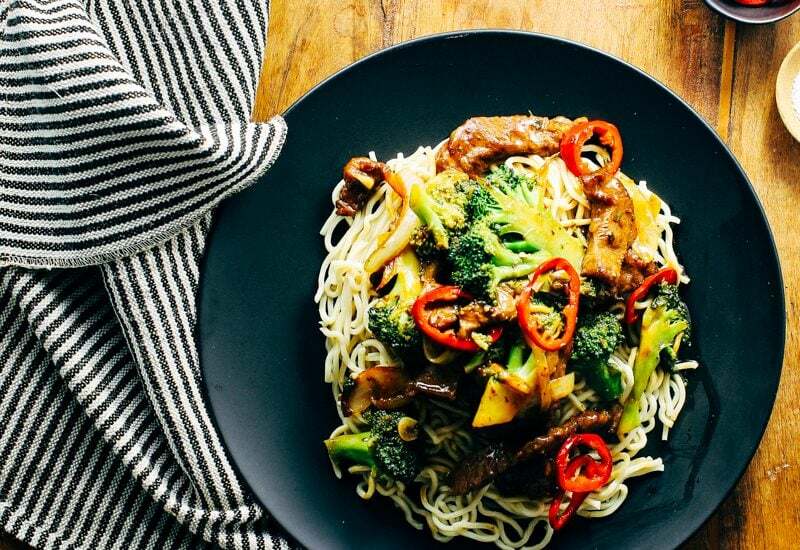 This Beef Broccoli Stir Fry is quick and easy, and includes tips for making a perfect (never soggy) stir fry! 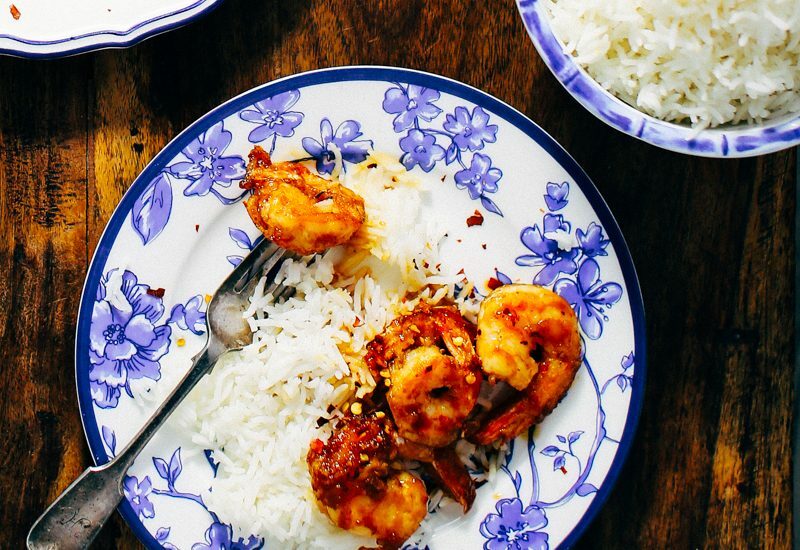 Crispy fried shrimp in an addictive sticky, spicy honey-orange sauce. Quick and easy! 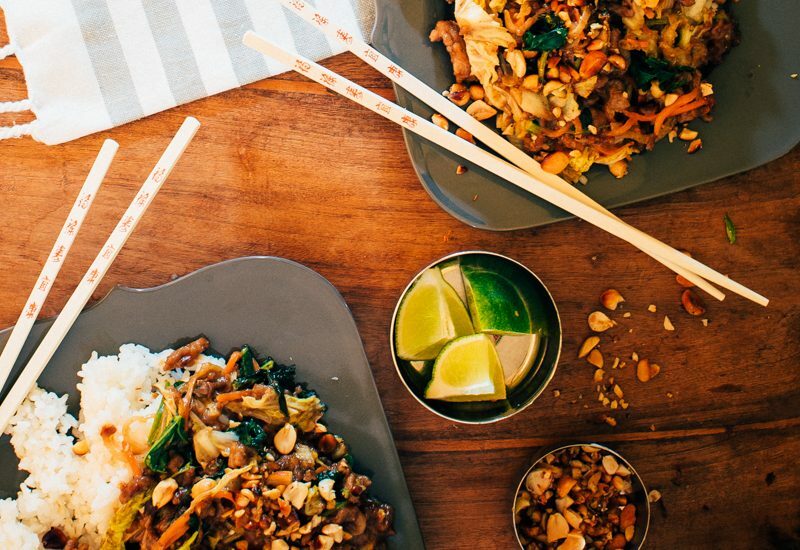 This ground pork stir fry features shredded cabbage, carrots and bitter greens with an incredible spicy-creamy peanut sauce and crunchy peanuts on top. 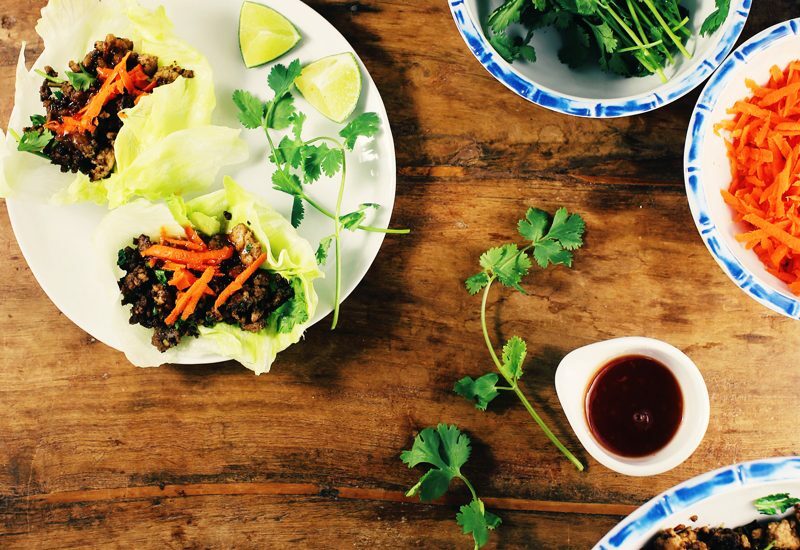 These lettuce wraps are one of my favourite things to eat – I love the spicy-sweet-sour flavour profile, the crispy meat filling and fresh lettuce leaves. 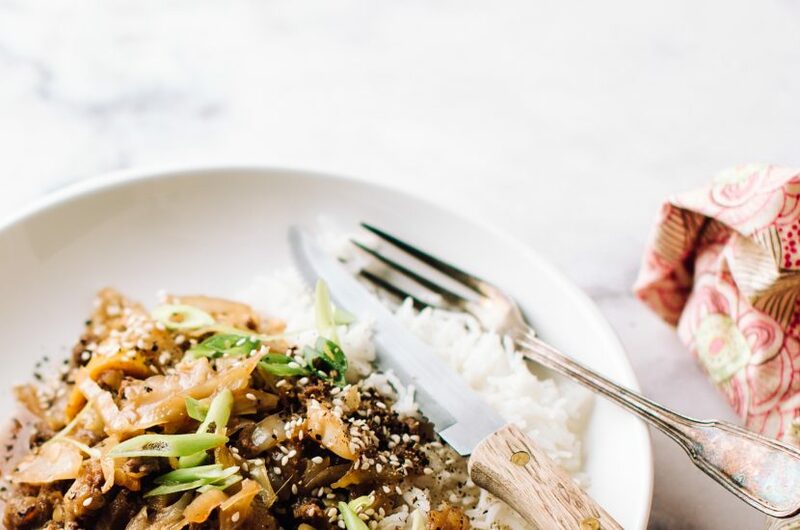 Thai curry is one of my go-to weeknight meals when dinner had to be ready ten minutes ago. 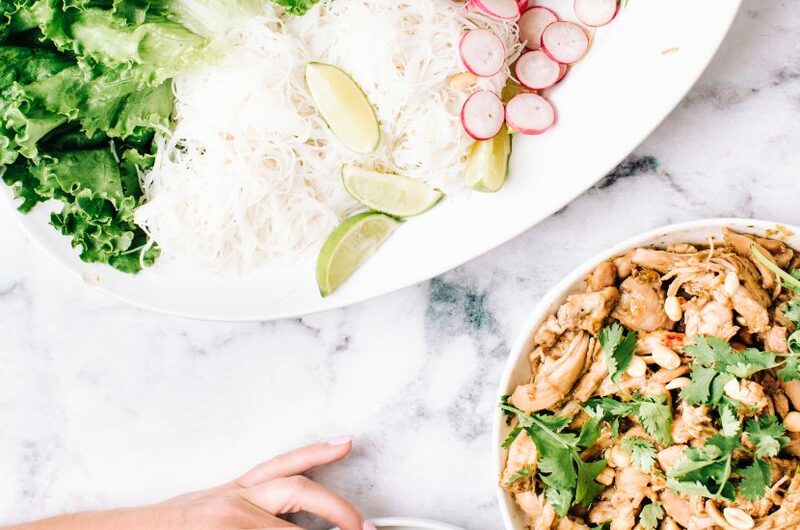 All it takes is a flavourful curry paste, a generous pour coconut milk (homemade or otherwise), some protein (chicken, tofu, fish, scallops or prawns) and whatever veggies are on hand. 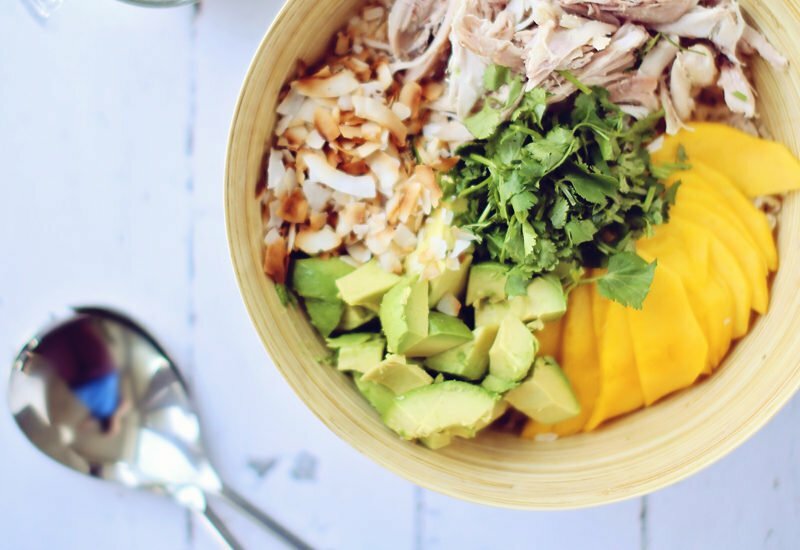 This baby has everything that makes an unforgettable salad: an addictive balance of fresh, sweet, spicy, tart and nutty, plus a multitude of textures from the chewy rice, crunchy toasted coconut ribbons, silky mango, creamy avocado and tender chicken. It also has everything you want in a meal salad: hearty whole grains, protein, and make-it-last till dinner healthy fats.